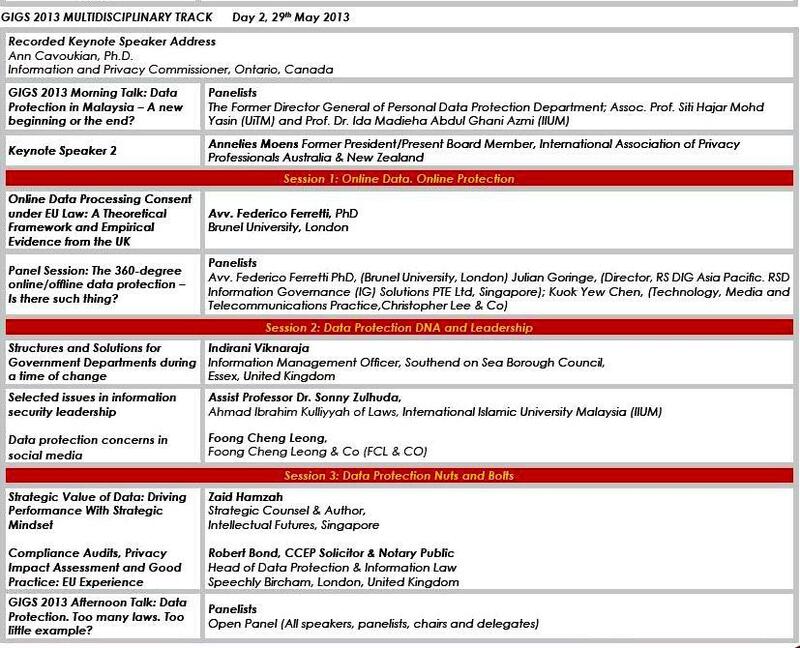 This is just to share of my upcoming presentation at the Global Information Governance Summit (GIGS 2013) that is held in Kuala Lumpur, 28th-29th of May 2013. I will be speaking in the session 3 of day 2, entitled “Selected Issues in Information Security Law and Data Protection”. 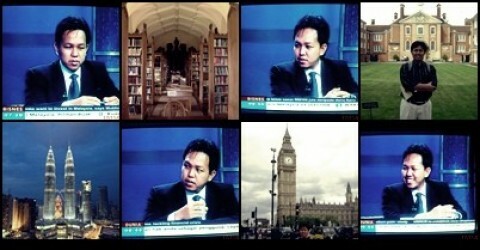 I will be speaking more specifically about the threat of identity theft; spam; data surveillance and cyber-terrorism! The event is jointly organised by the QC Consulting and Universiti Teknologi Malaysia (UTM) Space. Here is the snapshot of the agenda at the second day.